By Stan Gordon - December 9, 1965, is a date that many area residents still remember. It was on that afternoon just as it was getting dark in the area that multitudes of witnesses observed a brilliant fiery object in the sky. Soon after the object passed over the greater Pittsburgh area, radio and TV stations were breaking the news of the sighting of the mysterious object in the sky. Information was later reported that the object had fallen into a wooded area near the Mount Pleasant Township community of Kecksburg in Westmoreland County. During the evening, hundreds of curious people found their way to the rural roads around Kecksburg to try to see the object that had reportedly fallen. Many reporters from area newspapers, radio and TV also went to Kecksburg to determine what had occurred. The reporters, local residents, and the many curiosity seekers that arrived in the area, were met at the scene by state police, volunteer firemen, and the military. That evening roads around the reported landing site were cordoned off, and the woods where the object was said to have fallen, were off limits to those who wanted to try to get closer look. 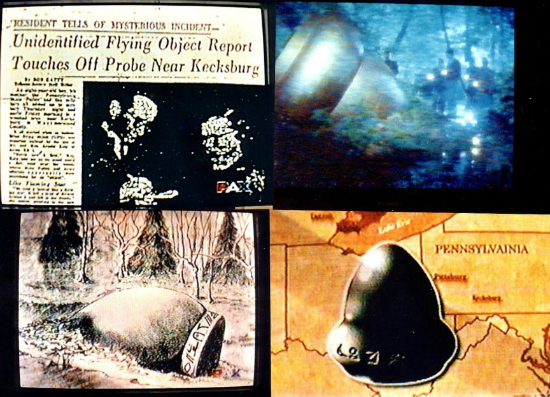 What wasnâ€™t known at the time was that some people had gone down into the woods soon after the object fell and discovered the metallic acorn shaped object with odd symbols on it, semi-buried in the ground. 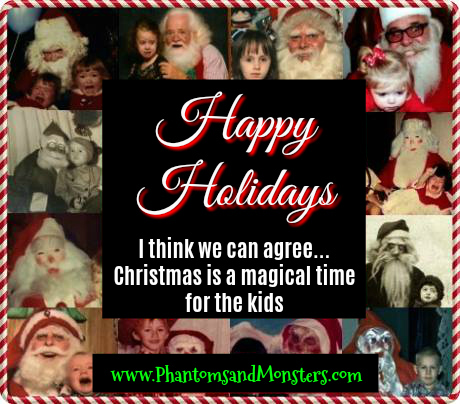 This strange narrative is a holiday season tradition on 'Phantoms & Monsters'. 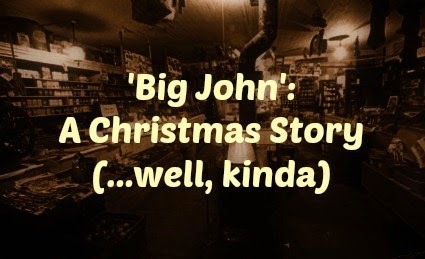 In fact, many of my regular readers have told me that it is their all-time favorite post.